Reports from Australia indicate a disturbing number of doctors and nurses have chosen to support ISIS, as summarized by Albawaba News from the Australian Daily Telegraph. Security agencies are concerned about a growing number of health care workers among the nearly one hundred Australians who have thrown in with the Islamic State in Iraq and Syria. Australians have been banned from traveling to the ISIS strongholds in those countries, respectively Mosul and Raqqa, with a penalty of up to ten years in prison for defying the ban. The passports of Australians who fight alongside ISIS have also been revoked. 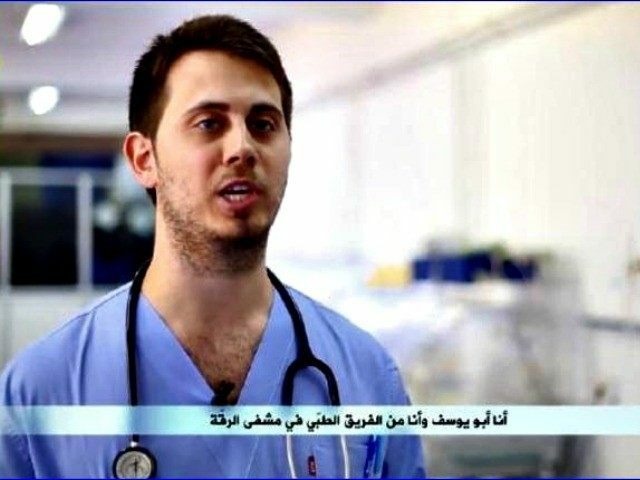 “I saw this as part of my jihad for Islam, to help the Muslim community in the area that I could, which is the medical field,” Kamleh said the video, pronouncing himself “very happy” with his new life in the terror state — his only regret being that he didn’t come sooner. According to the Sydney Morning Herald, his colleagues were shocked by his decision to join ISIS, describing him as intelligent, skilled, good with kids, “focused on the care of his patients,” and prone to “behavior inconsistent with Islamic State values,” including drinking and womanizing. It’s as if Don Draper from Mad Men suddenly decided to go on a jihad. One of his former colleagues speculated that ISIS might have wooed him by appealing to his ego; another wondered if he might have been radicalized after a 2013 camping trip, from which he returned as a considerably stricter Muslim. While we cannot comment specifically on the individual, this is clearly another vile attempt by ISIL to try to entice Australians and other Westerners to put themselves and others at risk. Joining ISIL does not help the people of Syria and Iraq. It helps a terrorist organisation that’s on a murderous rampage killing Muslim and non-Muslim people in their way. There are safer, legal ways of helping the people affected by these conflicts than travelling overseas to fight or support a terrorist organisation. Their point is well-taken, and their goal is laudable, but it strains credulity that many ISIS recruits are sallying forth to join one of the most inhumanly brutal and sadistic outfits ever to stain the Earth with innocent blood out of purely humanitarian motivations. Not many people signing up for service with the head-choppers, rapists, and crucifixion enthusiasts of the Islamic State view it as the optimum approach to “help people affected by conflicts” in Syria and Iraq, especially if they’re intelligent enough to practice medicine.